OOC for Super Century extended RPG. In this world, genetic engineering and technological innovation have led to the rise of super-humans, science-empowered men and women who rise above the rest of society for good or ill. With outstanding abilities that stretch the limits of imagination, these daring characters have already had an immense impact on the day-to-day lives of humanity. Distinct factions have begun to emerge, all based on the responses the general population has had to these advancements. Governments have been quick to mobilize, seizing gene-patents in a rushed attempt to regulate superpowers. 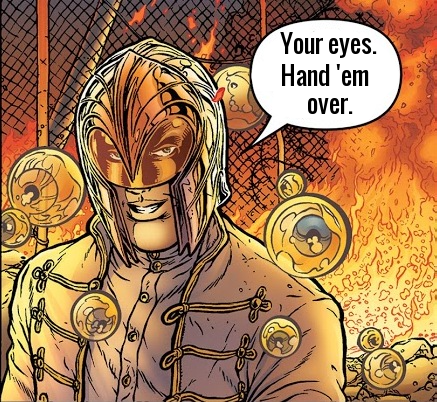 Rather than sanction metahuman abilities, for example, Homeland Security has taken the more active approach of drafting metas into their own publicly-funded strike force known as the Freedom Brigade, a metahuman squad specializing in counter-terrorism and espionage operations. They appear to be moving more and more into the realm of anti-vigilante activity with a focus on accountability to the general public. Though some consider the Brigade to be an enormous waste of taxpayer resources, their track record of dealing with extranormal crises is cause for celebration. Many of their members enjoy celebrity status. They are comprised mostly of biotic beings, people whose abilities come from their augmented genetics. Despite the ease with which they operate, they are entirely constrained by the law and can engage threats only when under the supervision of their military commanders. The private sector has been dominated not by genetic engineering but by technological innovation. The rise of X-Tech under the leadership of Carter Jove (AKA Thundermachine) has provided scientists who do not wish to have their work seized by governments with steady funding and a haven for creativity, all with the support of their red-and-gold flagship hero. Though X-Tech has been criticized for its corporate leanings, there can be no doubt that it is the most directly philanthropic organization in the world, devoting the bulk of its technological output to supporting Jove's superhero operations. Known for transparency and charity, he is the personable face of the secretive X-Tech. Rumor has it that he's gathering a group of his own to step in where the government can't - or won't. Independent of either group are the shadowy Strangers, the colloquial term for those who operate outside of the public eye. These heroes have secret identities and undefined powers, giving them an air of mystery and uncertainty about their motives. Both Homeland Security and X-Tech monitor their activities with great scrutiny, as their state-level interventions make them a threat to the government's authority. Escalating tensions between the Strangers and the Freedom Brigade as well as international incidents are prompting more and more worry about the onset of global metahuman conflict, resulting in a great deal of pressure for those who operate without oversight to surrender their identities and autonomy to their governments. The chief example of such a Stranger is Odin, a hero of the people to some, and a political agitator to others. Both his identity and the source of his powers are unknown to the general public, making him the exemplary Stranger-type. Though fully autonomous, the Strangers are often feared and can work only with their own resources. Interestingly, the rise of super-humans has also influenced those without spectacular powers in...unexpected ways. Prompted to emulate those with fantastic abilities, some normal humans attempt to don flashy costumes of their own and engage street-level crime using home-built gadgets, martial arts training, or in some cases, just a lot of guns. This classification of "superhero" has both the highest casualty rate and the lowest effectiveness rate, sometimes even bungling government ops in their efforts to rise above mere "normie-ness." Without the genetic augmentation of the Freedom Brigade, the superior technology of X-Tech, or the occult abilities of the Strangers, this nameless group is always one misstep away from hosting another funeral. Genre is modern superhero epic. This RP will be a persistent universe in the sense that it will go on throughout the early part of the "Super Century" when these types of beings first appeared in the public spotlight. Recommendation is that users use a character look from Western superhero media (i.e. Iron Man, as I'm doing for Thundermachine) to construct a character off of, in order to emulate and deconstruct the associated ideas. Anime / tumblr-esque fan art or cosplay would clash with the overall genre, so superhero fiction is better to select from. Recommended reading for looks would be Ultimates, Ultimates 2, Jupiter's Circle, the Boys, the Authority, Superior Foes of Spider-Man, Black Summer, Pax Americana, and general DC / Marvel fare. Powers and abilities are founded in some sense of pseudo-realism. You can be strong, but not inanely powerful or influential within the context of the world. Governments have yet to be toppled, so there's a general sense of status quo atmosphere at the outset of the RP, but this will change over time as people may choose to take over certain regions or institute new laws. In general, though, give others a chance to stop you if you want to try something big - don't just have everyone wake up one with you owning China all of a sudden. This is for power exploration, not power fantasy. Will be continually open throughout. Join in at any time, but after it starts, make sure your character is consistent with the lore and story so far. AU where everything is exactly the same but Odin collects people's eyes for some reason. Everything's looking good so far, I'll have a post up in the near future, most likely tomorrow. I dunno if you've looked over the CS yet, but do you want Jiménez starting anywhere specific at all? Sorry for the little delay, man, been busy over the last day. Character looks fantastic, you can start wherever you please. Looking forward to seeing him encounter someone!